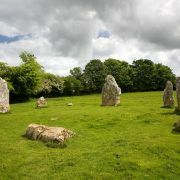 This late Stone/early Bronze Age (2500-1500BC) stone circle is renowned for both its beauty and the stories connected to it. 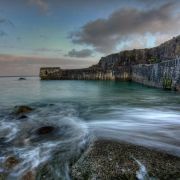 It lies in a gently sloping field between Lamorna and St Buryan, a stone’s throw from Tregiffian barrow and a number of other ancient sites, and its remarkable qualities were first recorded in the C17th. 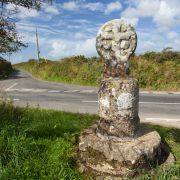 The regularity of spacing between stones and its truly circular form make the Boleigh Merry Maidens unusual in Cornwall, however restorations in the C19th (on the orders of the land owner Lord Falmouth who wanted to avoid the fate which had befallen other nearby circles and stones, namely field clearance and their use in construction) led to some stones being put back slightly skewed. There are 19 stones in all, with a gap in the eastern section which is common to almost all British stone circles. In addition to the regular spacing, the stones were also obviously carefully chosen and positioned as they gradually diminish in size from the southwest to the northeast; this waxing and waning in size believed to mirror the cycle of the moon. 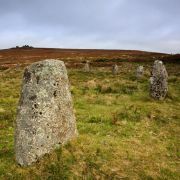 Measuring up to a maximum of 1.4m, the stones are dressed so as to be level on the top and have their flattest side facing the interior of the circle, which in turn has a diameter of around 78'. 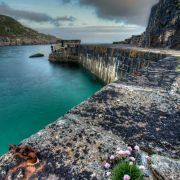 The name is part of the charm of this circle. 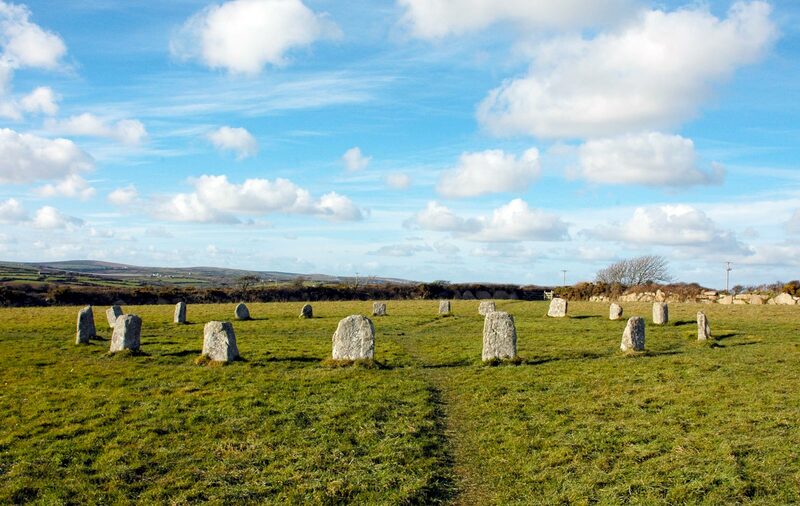 It is quite likely that its origins lie in the Cornish 'Dans Meyn', meaning dancing stone, which was the title given to all recorded Cornish stone circles pre 1900, and has thus led to many being associated with dancing rituals. 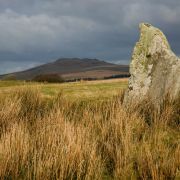 However, it is also likely that 'Dans Meyn' is a corruption of 'Zans Meyn', meaning simply sacred stone. In any case, come Victorian times the story evolved that the Merry Maidens were local girls who broke the rules on the Sabbath and were turned to stone for dancing, the equally sinful musicians, now the large pillars known as the Pipers, being petrified in nearby fields. 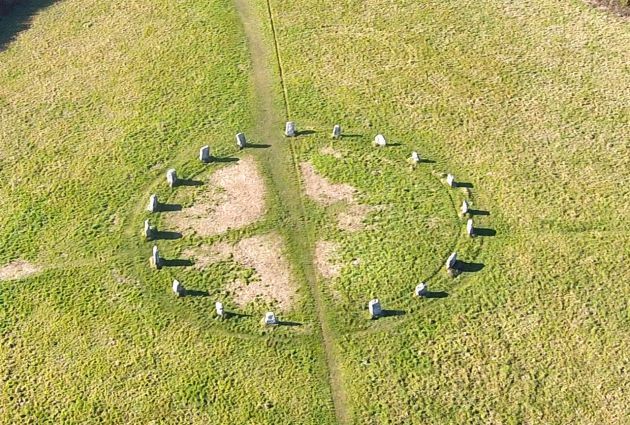 Such moralistic folk stories are commonly attached to stone circles (the Nine Maidens, the Dancing Stones at Tregeseal…) and it is thought that they may represent Christian methods of trying to eliminate Pagan activity at these ancient ceremony sites.